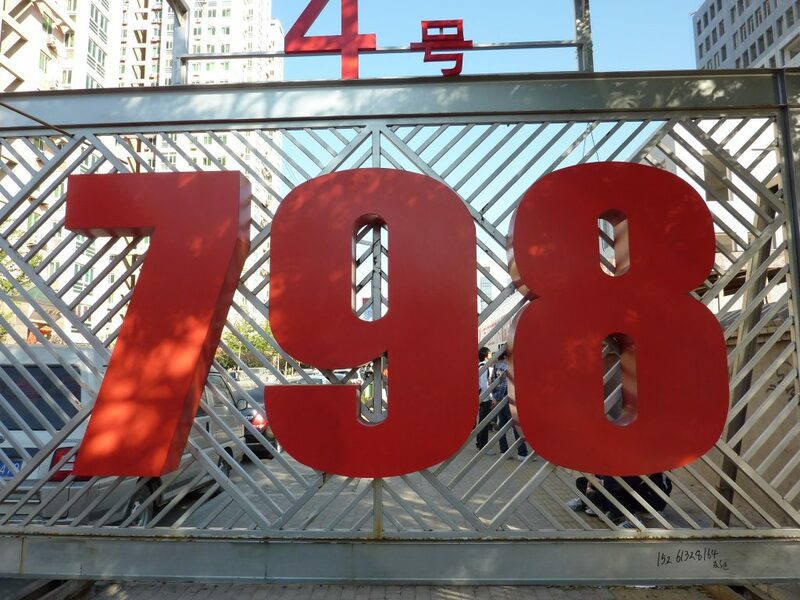 Modern art lovers planning a visit to Beijing should put the 798 Art District on their list of things to see. The district is one of the most important forums for the arts in the city, occupying a neighbourhood in the north-east section of the city known as the Dashanzi zone. The 798 Art District features a large number of galleries and shops along with streets that come alive with all sorts of sculpture, graffiti, and modern art offerings. If anything is going on in the Beijing art community, it’s happening in this district. The area is also a quick taxi ride away from Wudaokou – the main tourist hangout for hotels and bars. Fans of the district are very aware of the irony of its history. The district began its life as a military zone composed of separate and distinct factory buildings constructed in a unique architectural design known as the Bauhaus way. When the military decommissioned the zone, the state-owned company operating the factories decided to lease the properties instead. Artists fascinated with the architectural design and simplicity of the complex soon began arriving. The name of the district is taken from the 798 factory that is essentially the heart of the complex. This building was one of the original factories constructed in the 1950s. Most of the artists making up the first wave of tenants within the district found their home in the 798 building. Today, the 798 Art District draws visitors from all over China and the world. It has also garnered lots of attention from international media due to restrictions on free speech and expression in China. Within the district, free expression appears to be okay. Visitors are treated to a full range of art galleries, design studios, exhibition spaces, and outdoor pieces from some of the best-known artists in the city. The district is fully supported by shops, restaurants, and nearly 400 cultural organisations from around the world. You could spend days in the 798 Arts District and still not see it all. Art Festivals – The district holds two annual art festivals that are not to be missed. The 798 Art Festival takes place every year from the end of April through until the end of May while the 798 Creative Art Festival is held in September and October. 798 Photo Gallery – This gallery holds a collection of original photographs from artist Chen Guangjun. He owns the gallery, and he rarely displays his work outside of his own space. Long March Space – The Long March Space is another gallery that goes beyond traditional art forms to include everything from videos to printed media to cars presented as art. This is a fun and whimsical space and is anything but an old world gallery. Chinese Contemporary – Those who appreciate contemporary Chinese art can find what they are looking for at this second-floor gallery. It’s just a short flight of stairs in the main 798 building. 798 Space – This is one of the largest galleries in the entire district. Here you will find all sorts of modern art covering everything from political statements to economics. This is a favourite spot for Chinese millennials who enjoy the art scene. While you’re in the district, plan on getting something to eat at one of the many restaurants you will find there. The district is easily accessible via the city’s underground, light rail, and bus systems. Do be careful if visiting at night, though, as the district is woefully short on lighting.